Looks like the techno-titans are battling it out in the skies. The mission is to bring the internet to the remotest parts of the earth. With Google talking about Project Loon (where they expect to use balloons to provide internet), Facebook seems to have found a more feasible alternative in drones! Sources say that Facebook Inc has entered into advanced discussions with Titan Aerospace. Zuckerberg hopes to rope in the deal, where they would be soon acquiring the New Mexico based drone maker. Tech Crunch had reported the same earlier saying that the deal is expected to be sealed at price of $60 million. Analysts speculate that the current developments including the purchase of Whatsapp to be a part of the larger picture – Internet.org. Facebook and Mark Zuckerberg launched project Internet.org in partnership with several other Tech companies like Samsung Electronics and Qualcomm Inc. The project competes with Google’s Project Loon and hopes to provide two-thirds of the world that doesn’t have internet with access to it. Titan Aerospace has been manufacturing near-orbital solar powered drones that can fly continuously for a period of 5 years. Resources on the net show that Titan Aerospace had introduced these solar powered UAVs earlier last year. They named these drones as ‘atmospheric satellites’ as it can perform most of the operations that orbital satellites do but at a fraction of the cost. The drones can be put to many uses such as disaster-recovery, communication, earth imaging or weather monitoring, and Facebook intends to use it for communication. Word has it that the drone company would begin by building 11,000 of these airborne vehicles specifically the Solara 60 models. The Solara 50 and 60 models can be launched in the night using its own battery pack, and when the sun rises, the solar panels will generate and store enough power to ascend the 20KM milestone. These drones can remain at that position for 5 years without needing to land or refuel. 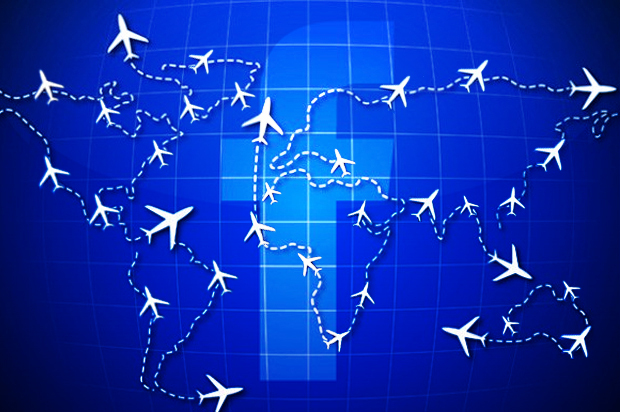 Facebook would have to tweak these flights and then carefully position them above the airspace as per FAA regulations in the U.S and similarly in other parts of the world. If the deal goes through, it will be the first time that drones are used for communication relays. CEO Vern Raburn currently heads Titan Aerospace. The company was founded by Max Yaney back in 2012. Yaney wanted to build ‘atmosats’ that would mimic near-earth satellites operations at fraction of the cost..